You Deserve to be Safe’: A Simple English booklet about Domestic and Family Violence is now available. As part of the Queensland State Government’s 2017 Domestic and Family Violence Prevention Month, WWILD has developed a booklet and accompanying poster, about violence in relationships and who you can talk to about safety. This booklet was developed with the support of WWILD women and a range of colleagues from the Domestic & Family Violence, Sexual Assault, Disability and Youth sectors. 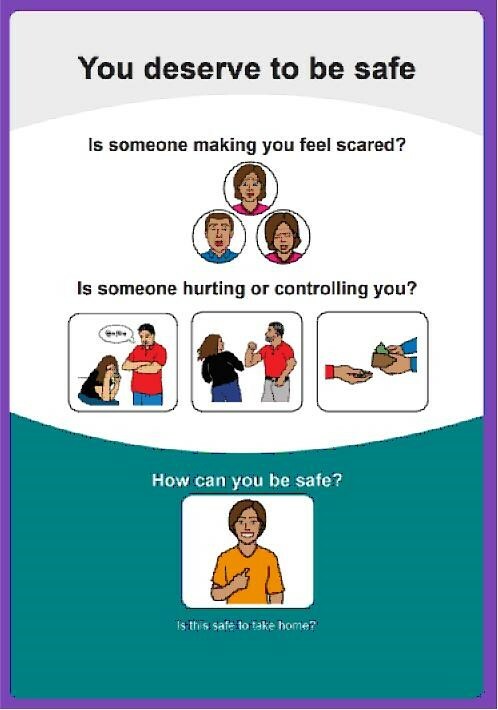 The aim of this booklet is to use simple English to describe the range of behaviours that might constitute violence in a relationship and some thoughts about what to do/ and who you might talk to about safety. If you would like copies of the poster for your organisation (we have a limited number to distribute), please contact Leona at leonab@wwild.org.au.